is a 2014 American dark fantasy film directed by Robert Stromberg from a screenplay by Linda Woolverton , and starring Angelina Jolie as the titular character with Sharlto Copley , Elle Fanning , Sam Riley , Imelda Staunton , Juno Temple and Lesley Manville in supporting roles. Loosely based on Charles Perrault's original fairy tale and inspired by Walt Disney 's 1959 animated filmSleeping Beauty, the film portrays the story from the perspective of the eponymous antagonist , depicting her conflicted relationship with the princess and king of a corrupt kingdom. Walt Disney Pictures announced the film's development in 2010, with Joe Roth as producer and Jolie, Don Hahn , and Michael Vieira as executive producers. 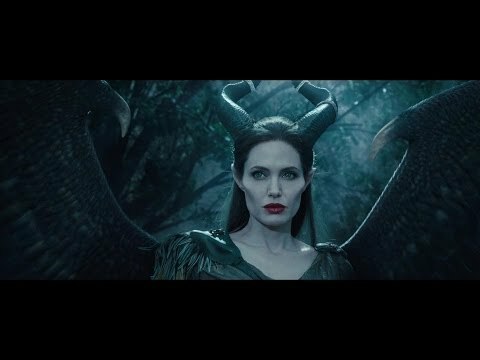 Principal photography took place between June and October 2012.Maleficentpremiered at the El Capitan Theatre in Hollywood on May 28, 2014, and was released in the United Kingdom that same day. The film was released in the United States on May 30, 2014 in the Disney Digital 3D , RealD 3D , and IMAX 3D formats, as well as in conventional theaters. It was met with mixed reviews from critics, but was a commercial success, having grossed over $758 million worldwide, becoming the fourth-highest-grossing film of 2014 and the highest-grossing film starring Jolie. The film received an Academy Award nomination for Best Costume Design at the 87th Academy Awards . 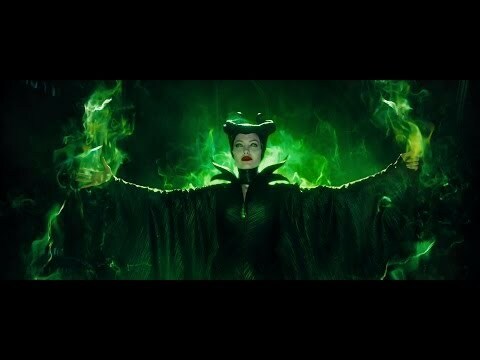 Maleficent is the most powerful fairy living in the Moors, a magical forest realm bordering a human kingdom. As a young girl, she meets and falls in love with a human peasant boy named Stefan, whose love for Maleficent (including giving her "a true love's kiss" at age sixteen) is overshadowed by his ambition. As they become older, the two grow apart, and Maleficent becomes protector of the Moors. When King Henry tries to conquer the Moors, a grown Maleficent forces him to retreat. As he lays dying, he declares that whoever kills Maleficent will be named his successor and marry his only daughter, Princess Leila. Stefan visits Maleficent in the Moors. He drugs her, but cannot bring himself to kill her. Instead, he cuts off her wings and presents them to the king. Overwhelmed by Stefan's betrayal, Maleficent turns the Moors into a dark kingdom. The raven Diaval acts as her wings, spy and confidant. She transforms him into different forms as needed, including human. After some time, Diaval informs Maleficent that Stefan, now king, is hosting a christening for his newborn daughter, Aurora. Bent on revenge, Maleficent arrives uninvited and curses the infant princess: on her sixteenth birthday, she will prick her finger on the spindle of a spinning wheel and succumb to a deathlike sleep from which she will never awaken. When Stefan begs for mercy, Maleficent mocks him by letting the curse be broken by true love's kiss. Stefan sends Aurora to live with three pixies - Knotgrass, Thistlewit, and Flittle - until the day after her sixteenth birthday, while he destroys all the spinning wheels in the kingdom and hides their remnants in the castle dungeon. He sends his armies to find and kill Maleficent, but she surrounds the Moors with an impenetrable wall of thorns. King Stefan slips into madness and paranoia trying to prevent the curse, even neglecting to see his wife on her deathbed. Despite her initial dislike for Aurora, Maleficent begins to have motherly feelings for the girl. After a brief meeting with the young Aurora, Maleficent watches over her from afar. When Aurora is fifteen, she encounters Maleficent. Knowing that she is being watched over, she calls Maleficent her "fairy godmother." Maleficent tries desperately to revoke the curse, but the curse proves to be unbreakable by any means other than true love's kiss. In the forest, Aurora meets Prince Philip, and the two are attracted to each other. On the day before Aurora's sixteenth birthday, Maleficent invites her to live with her in the Moors. The pixies inadvertently tell Aurora of her past. When Aurora learns Maleficent's true identity, she runs to her father's castle. After a brief reunion with his daughter, Stefan locks her away in a room for her own safety. However, the power of the curse draws Aurora to the dungeon, where a spinning wheel magically reassembles. She pricks her finger and falls into a deep sleep. Maleficent, intent on saving her, abducts Phillip and infiltrates Stefan's castle, but Phillip's kiss fails to awaken Aurora. At her bedside, Maleficent apologizes to Aurora and kisses her forehead. Aurora awakens. However, as they attempt to leave, they trigger an ambush. An iron net drops on her (iron burns fairies). Maleficent transforms Diaval into a dragon, but he is eventually caught as well. Stefan beats and taunts Maleficent, but before he can deliver a killing blow, Aurora finds her wings and releases them. They fly to Maleficent and reattach themselves. Maleficent carries Stefan to the top of the castle's highest tower. She cannot bring herself to kill him. Stefan attacks her as she turns away, however, and both plummet from the tower. Maleficent is able to break away, and Stefan falls to his death. Afterward, Maleficent abdicates and crowns Princess Aurora to unify the two kingdoms. 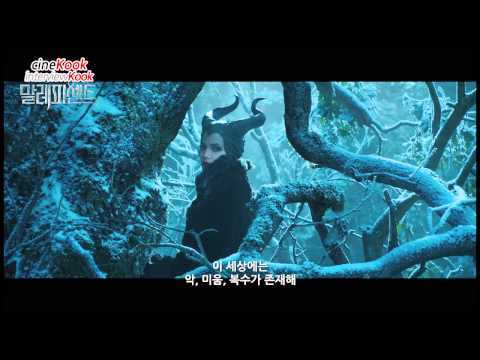 // 말레피센트 (2014) 캐릭터 탄생기 Maleficent 5960 views runtime : 0:00:00 말레피센트 (2014)..